The music industry is one of the most dynamic and exciting career paths for people with a creative side and passion for helping bands or artists big or small to succeed in their careers. With the music industry being one of the most competitive industries to break into, a mix of work experience as well as gaining a relevant study qualification can all help improve your job prospects. I want to work in the music industry. How can I get started? In the age of music streaming, the way music is marketed now is different to what it was 20 years ago, so it’s important to be adaptable to change and be open to the career opportunities it offers now in marketing, business and events. Sites like The Industry Observer, Pedestrian TV and Music Industry Inside Out have music jobs advertised on an ongoing basis, so having a look at the skills and qualifications for your dream job can be helpful. Most jobs require work experience, but for specialist roles in music business or marketing, having a study qualification can be helpful when you’re applying for these type of roles. If you’re still not sure where your passion lies in the industry, Skillstalk have compiled a list of jobs as a guide to help you choose the career path you want to follow. 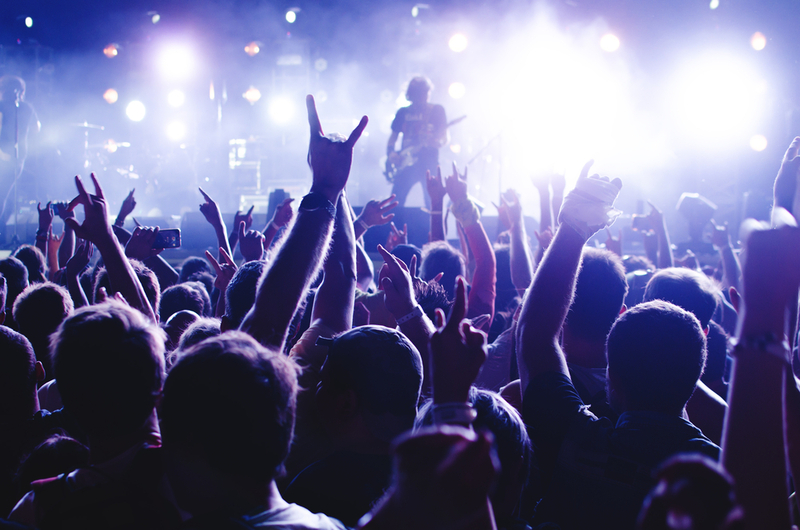 Publicists in the music industry work closely with the media to secure coverage of the bands and artists they have as clients. They are the behind-the-scenes people in the industry where they work on different publicity campaigns to help build brand exposure for a small, niche band or increase coverage on tour or album announcements. Publicists are generally well-connected with the media across traditional, digital, radio and TV, so having the ability to build an instant rapport with their clients, as well as people from the media is important to be successful in their job. As a publicist, you need to have excellent verbal and written communication skills because you will be regularly liaising with the media, pitching either through email or on the phone, writing and sending out newsworthy media releases, organising and securing interviews and monitoring and collating press coverage for reporting purposes. To become a publicist, undertaking a study qualification in a Diploma of Marketing and Communications (BSB52415) can help you give you the relevant skills you need to do your job. Plenty of entertainment agencies and record labels also offer public relation internships, so doing an internship while undertaking study can be a great way to gain exposure in music publicity. Believe it or not, musicians need to sort out their earnings too, especially when it comes to doing their tax return so a good accountant is definitely needed. Accountants in the music industry are needed as they are knowledgeable on what items are tax-deductible for musicians, offer advice on how to manage and budget earnings and ensuring that their clients in the music industry are also meeting tax obligations as well. To be a good accountant in the music industry, you need to be able to work with different people, have an interest in offering budgeting and financial advice to musicians and other music professionals while keeping up to-date knowledge in the music industry. Studying a relevant qualification in accounting can help you gain the skills you need to establish a rewarding and stable career. To be able to specialise in music accounting, you can start your own accounting firm that solely deals with music clients, so if you are looking to start a small business in music accounting, a Certificate IV in New Small Business (BSB42618) is a good qualification to have in addition to your accounting specialisation. Photographers in the music industry provide professional shots of bands and musicians, either for editorial or promo work. In some cases, photographers are hired by either the band or their management team to follow them on tour and capturing on-the-road and concert moments. Some agencies and music publications also hire photographers to have professional shots taken when live photography coverage is needed for an editorial piece on a festival or live music event. Most photographers in the music industry work on a freelance basis and their clients can range from bands to publications that pay for their work. To be a successful music photographer, having a passion for capturing the feeling of a musician or a band’s art in a photo is a helpful skill to have. You also need to be well-equipped with professional photography equipment and be able to showcase your work on social media. Knowing how to market your work on social media can help you gain leads from other musicians and bands needing professional shoots done, so posting regularly on Twitter and Instagram while keeping a portfolio of any work you’ve done in the past can help you gain more clients. A qualification such as a Diploma of Social Media Marketing (10118NAT) can be helpful to have if you don’t know how to target specific audiences or what the best posting times are to further engage people with your content. If you’re interested in making a small side business in music photography, you can also study a qualification in Certificate IV in New Small Business (BSB42618), giving you the skills needed to help you run a small passion project on the side. Music Journalists are responsible for writing regular interview features on artists and bands, breaking news in the industry and often liaise with publicists and other music industry contacts to produce content relevant to the publication they are working for. In the digital age, there are very few music publications who still deliver print magazines in Australia and some journalists eventually become cross-skilled in other aspects of journalism such as video, TV or radio. However, it is possible to be able to build a career in music journalism and move into senior roles such as Managing Editor or Editor-In-Chief. To become a music journalist, you need to have excellent written and verbal skills, be able to work under pressure and meet strict deadlines and ideally, be flexible when writing about different genres of music. For those wanting to start a career in music journalism, doing an editorial internship is a great way to get hands-on-experience in the field as it gives you a chance to work behind-the-scenes of a publication as well as an opportunity to network with other people in the industry. Upskilled offers a short course in networking that could help you establish important working relationships with people in music and move up in the career ladder. Getting unpaid work experience is a great way to build a portfolio as it can showcase all the work you’ve done when going for job interviews. You can either apply for staff writer jobs at a particular publication or choose to write for a number of outlets on a freelance basis. Some decide to start their own blog or publication and make it into their own business, so studying a Certificate IV in New Small Business (BSB42618) can help individuals gain relevant and important skills running the business side of a publication as an Editor. What courses can I do to help me break into the music industry? Upskilled offers courses in accounting and finance, marketing and business that can help you gain the relevant qualifications you need to help you get a job in the music industry. However, it’s encouraged that you combine a qualification with relevant work experience, either gained through multiple volunteer roles or internships. Be sure to read our other blogs on Skillstalk like how to write the perfect resume or cover letter, facing your fears in a job interview and the red flags to look out for in an internship when pursuing a career in music. While competition for music jobs is tough, it’s not impossible to get a job in the industry. If you have the drive and passion for music, don’t be afraid to take on other similar roles for experience or start your own passion project on the side that can help you get there.